Thread collab/42953 hidden. Unhide thread Threads not staying hidden? Try resetting your hidden threads. Playable demos for the game can be found here http://ganondox.deviantart.com/gallery/?catpath=scraps#/d5mfljc and here http://ganondox.deviantart.com/gallery/?catpath=scraps#/d5j0066 . We are looking to expand our team, so if you are interested email me at roboiguana [at] gmail [dot] com . We are especially interested in looking for additional programmers, including someone with more experience to take over the role of Lead Programmer from me so I can focus on other aspects, and so a more experienced person can manage that. A programmer should have significant experience with working with AS2 in Flash, and experience with working with other people's code, even if it's poorly annotated. We are also looking for level designers. Level design will be similar to that of 2D Zelda games in most aspects, so the designer should have a lot of expirence with Zelda, and some experience with creating original, interesting, and fun level design. It is advised for the Lead Level Designer to have at least a basic knowledge of AS2. Right now testing is open, but we are going to have to close it before long, so we are going to have to assemble a team of pre-alpha testers. Right now I'm thinking about hand-selecting people who have already given feedback to the demos of the game, but if you are interested you can also apply for that. And I think you can avoid brute forcing if the enemies don't just hurt you but knock back. Enemies do knock you back, and I think that might actually make it easier for you to just brute force your way through it. Anyway, I think I fixed all the things I said I was going to, but I haven't uploaded it. Thread collab/40634 hidden. Unhide thread Threads not staying hidden? Try resetting your hidden threads. 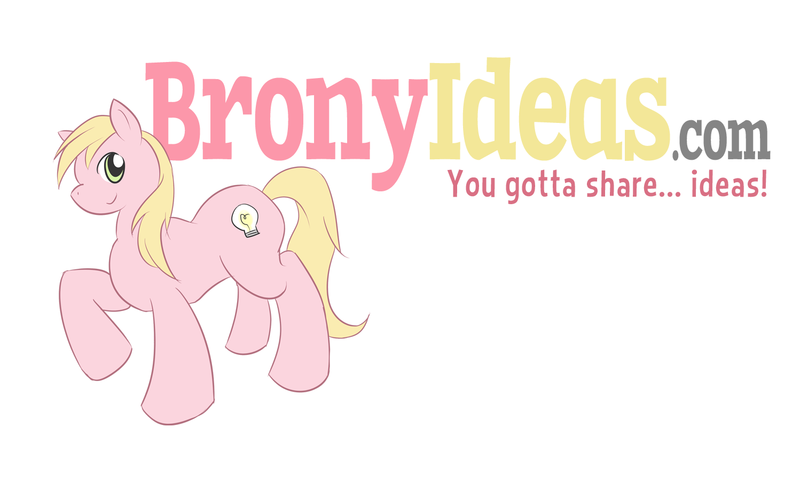 BronyIdeas.com is a place where the community can post, find, and organize pony-related ideas and projects! 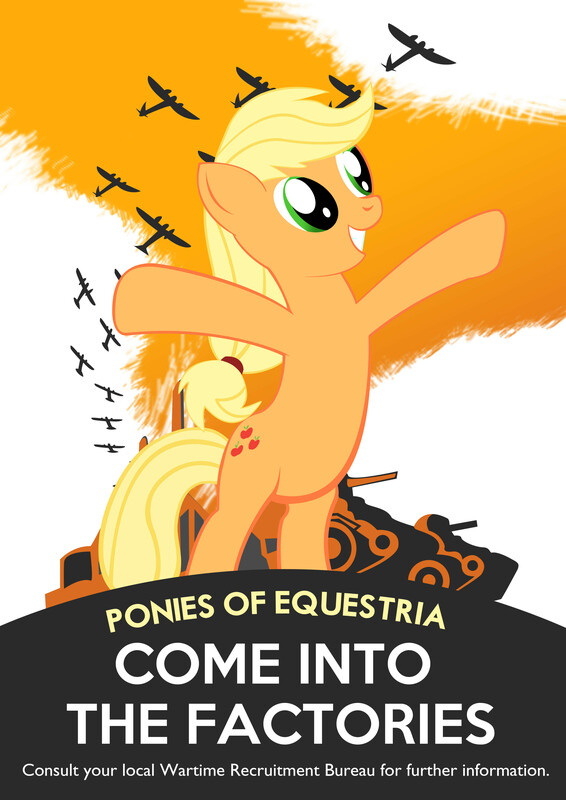 We want to bring together people who have ideas, need ideas, or want to help out and develop their talents (earn their cutie marks)! Thanks to the CSS volunteers who just joined! I think we're doing ok for helpers now, at least until everyone gets settled / finds a role. I'm glad you've found plenty of helpers for the time being, /collab/ has been very good to anypony email as well, all (i think) of my current and previous moderators have been from here. You may want to look at changing "Give me a login cookie" on your sign up page to something more "standard" like "Remember me" just because a lot of people wont understand the statement. Having said that, if you know what a brony is then you probably know of the term "cookie" but it's something to think about at the least. Also you may want to consider adding some css to stop the page jumping to the left whenever a scrollbar appears, it's some simple css but i think it's a nice addition. is all it is. Forcing scrollbars on all pages may be less esthetically pleasing then leaving it as it is maybe? eh, with a light background you barely notice scrollbars. Know a good, free CMS? Since we've had a lull in activity, I'm considering switching from our homebrew PHP backend to a content management backend. We're not planning to be very image heavy, but there are a lot of links and text. Any suggestions for a free, stable CMS that doesn't require server-side install (we're on a shared host with cPanel and FTP). Thread collab/15 hidden. Unhide thread Threads not staying hidden? Try resetting your hidden threads. 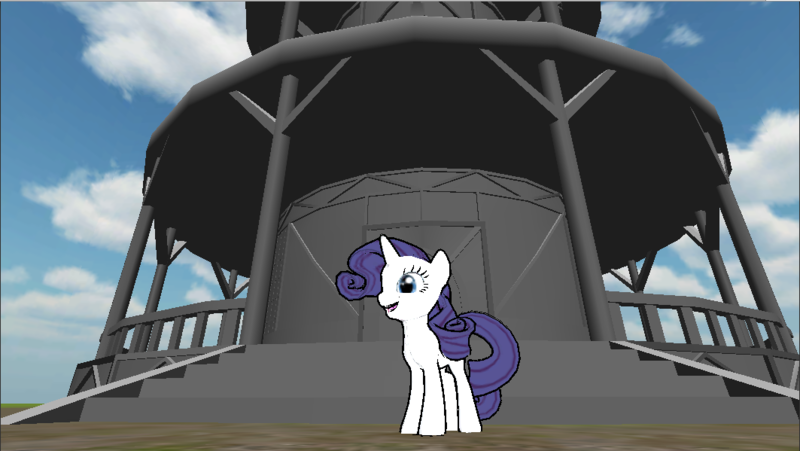 I am working on a visual novel set in Ponyville. The player takes control of a young stallion or mare who recently moved there, and his or her actions move the plot along. It is being written in Ren'Py, and will involve both canon and noncanon characters. I've posted about this project on /co/ quite a few times, but thought it'd be good to have a dedicated thread with which to announce updates. World-building and compiling information about characters is good. But when it gets in the way of writing and coding... then it can become a problem. Hopefully writing and game design are going well. If you're still actively working on your project, Python Tail, then please let us know if you need assistance. Thread collab/42902 hidden. Unhide thread Threads not staying hidden? Try resetting your hidden threads. 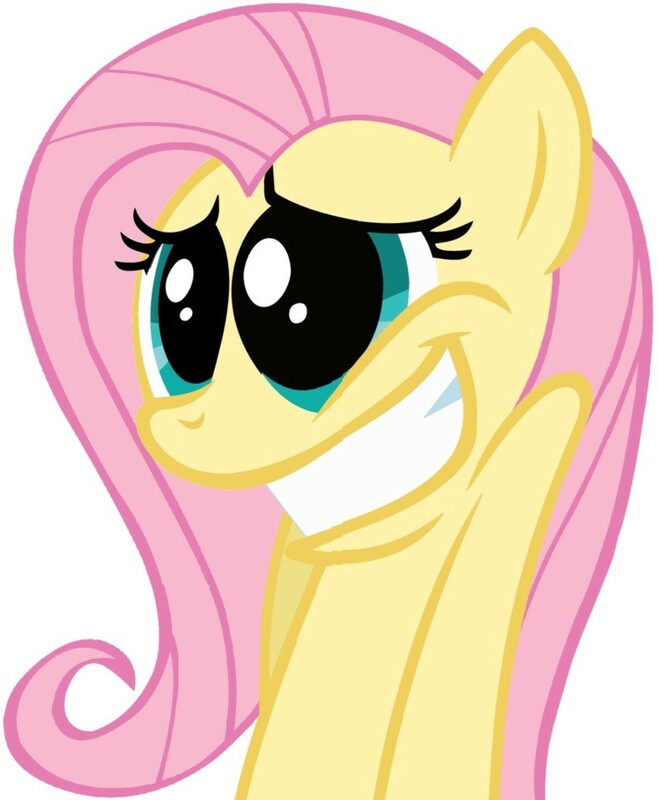 As just a small idea, has anypony ever thought of making a mashup of "The Crystal Fair", and "Some Nights" by Fun? I'd make it myself, but I have nothing like the kind of editing software. 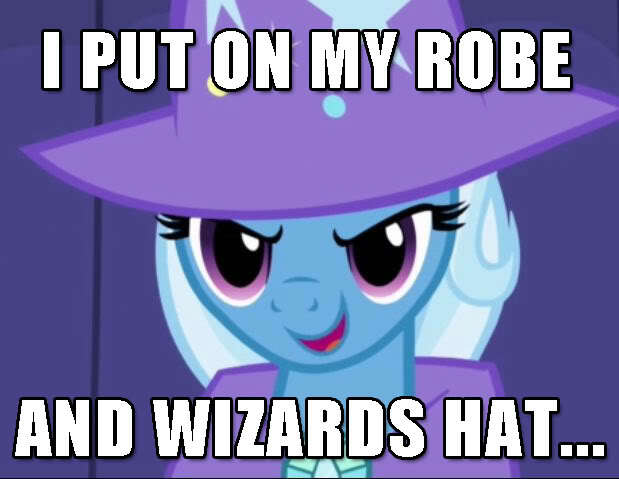 If anypony who likes fun wants to steal this idea, go ahead. I just find there are similarities between the two songs that are too harmonious to pass over. I'm pretty sure it's just a 1, 4, 5, 1. Thread collab/42905 hidden. Unhide thread Threads not staying hidden? Try resetting your hidden threads. Thread collab/42446 hidden. Unhide thread Threads not staying hidden? Try resetting your hidden threads. 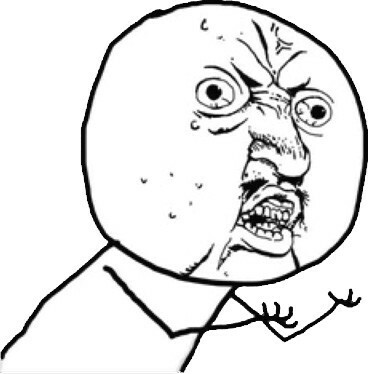 Emotes: Automatic inline image substitutions for common emotes :), :P, D:, :D, etc.. Custom Font color / style formatting. Everyones text is the same. I should be able to choose blue text to give my writing more personality. Thread collab/42867 hidden. Unhide thread Threads not staying hidden? Try resetting your hidden threads. Right. So we have one card game, Shards of Equestria. But its too hard to get people to play. I want to make a munchkin based game using ponies. 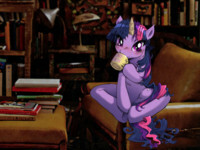 Anypony have any ideas as to how one would make this work? 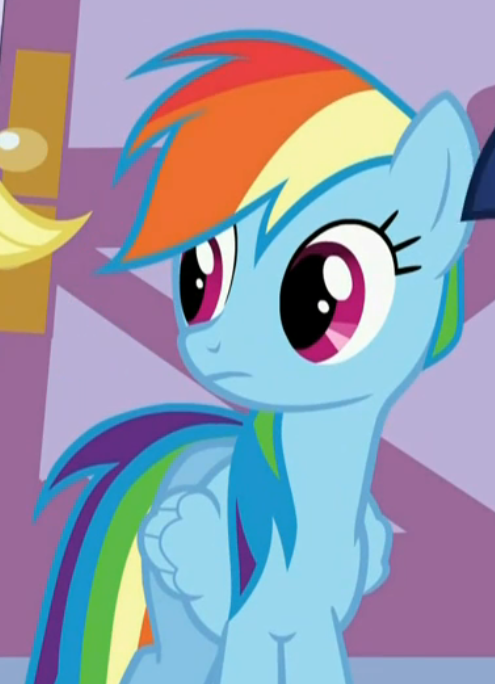 I thought about it, and ponies don't use many "items" in the show, and there lies my mindblock. Please help if you can! Thread collab/42845 hidden. Unhide thread Threads not staying hidden? Try resetting your hidden threads. Thread collab/42839 hidden. Unhide thread Threads not staying hidden? Try resetting your hidden threads. With the release of the S03 commercial featuring the giddy up song release earlier this week. I’ve been thinking, why not a ponies and bronies around the world picture compilation, set to that song. Now I can't fly myself around the world so I'm going to need your help. What I’m looking for is pictures of ponies and/or bronies anywhere around the world. 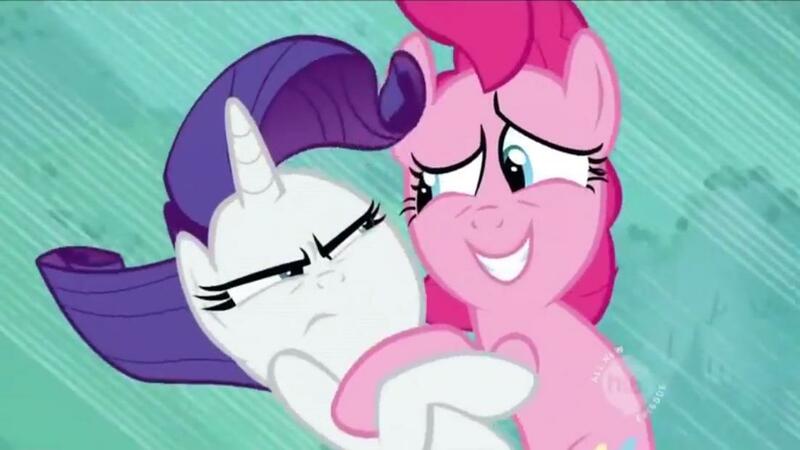 Any pictures would do, even if it’s one featured in EqD ponies around the world event. And hopefully in the following places. New York, Kissimmee, Hollywood, Milwaukee, Hershey, San Antón, Monkey Island, Hong Kong, Timbuktu, Wagga Wagga, Honolulu, Paris, Montreal, Buenos Aires. If anyone does decide to help with this by sending in pictures, could you please put were in the world the picture is taken. If you have any questions or queries regarding this feel free to ask. Thread collab/42834 hidden. Unhide thread Threads not staying hidden? Try resetting your hidden threads. Alright all of you talented bucks and mares I'm here to ask for some help on a project modding Super Smash Brothers Brawl, currently we are working on Rainbow dash. We have been at this for about a year due to members leaving and many time and technology issues. 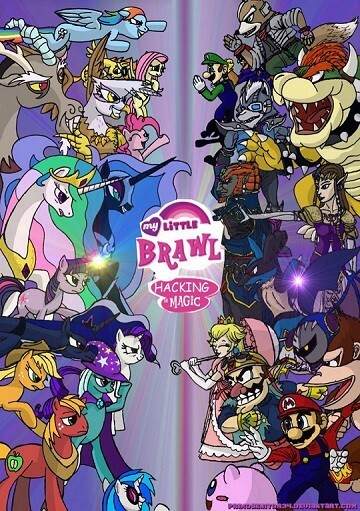 The major things we need are: somepony who can run PSA (project smash attacks) which is the main code program for brawl hacking, a model pony who can make some stuff to be used for graphics and fix a few things on Dash's model, and an a animator (we have one but he hasn't made a ton of head way on the ~200+ animations needed for the full custom model). Thread collab/42767 hidden. Unhide thread Threads not staying hidden? Try resetting your hidden threads. 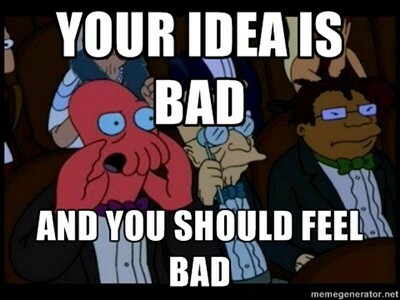 You know, something that would give Sombra Substance, and cut out some of the unneeded scenes and shorten others. I mean, we could have had him posses shining Armour during that scene in the frozen north, and weaken Cadance to drop the shield so he could regain his body using the crystal heart, instead of magically get his body back, even though it was stated by Celestia herself that he was STUCK in that form. This would lead to Him having a singing number, and then from there on out the mane 6 would notice things changing for the worse during the course of the fair, and going to confront him leading to a battle scene, then something where Twilight sacrifices herself to use or just uses the crystal heart to Alicorn up and beat Sombra. Anything But Cadance cannon, being called the crystal princess out of nowhere, Spike saving the day and Sombra's TERRIBLE Voice actor. Thread collab/42759 hidden. Unhide thread Threads not staying hidden? Try resetting your hidden threads. 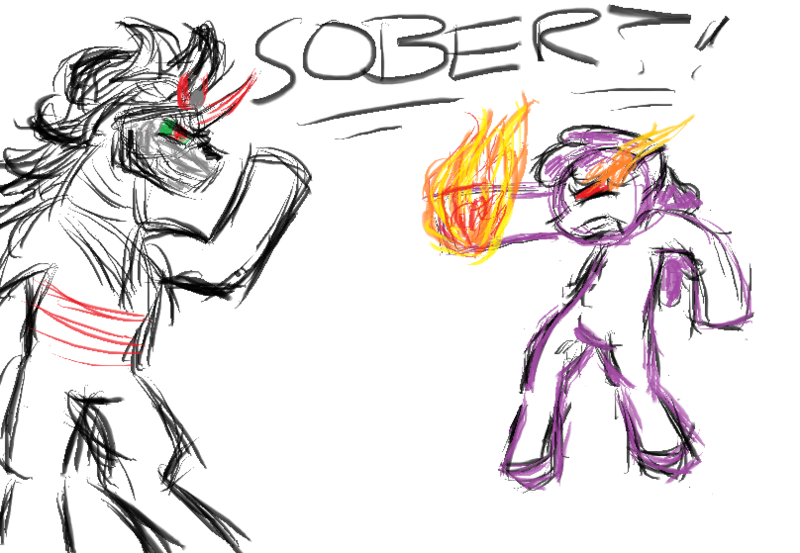 Well this is a basic idea i have for the game to add ponies to it. If you wish to see more please visit my FIMfic name Quick Thinker for more information on my blog. What follows is a copy/paste of a section of my blog. well the thought occured to me. Firaxis the makers of Civ5 already have 3 mods that add changelings, luna, and celestia. So i figured why not mod Firaxis reimagineing of X-COM and add ponies to the mix. The only problem is that Firaxis didn't exactly make x-com the easiest to mod. So before i even get to the opening of file and modifying them i'm going to make a rough draft and see if i can get a team together to help achieve this. Story: Ponyville is under attack and Celestia brings in a team of the best Canterlot has to offer, but even then they still suffer heavy losses. After much debate and argueing, the nations of Equestria come together to form the HARMONY project to be Equestria's best and last hope. They bring the best of the best to fight unknown menace. Will Equestria fight back the enemy and take back their planet. Or will the enemy outnumber them and wipe Equestria off the face of the planet? Thread collab/42569 hidden. Unhide thread Threads not staying hidden? Try resetting your hidden threads. Ok, so my most recent attempt was a bust, but i have an idea, what if i had context? Which is why i need your help, any fan made video you can think of would be cool. … I missed something, didn't I.
lol how is your English fine when posting on pchan, but sometimes in mod chat I have no idea what you're talking about? Thread collab/42726 hidden. Unhide thread Threads not staying hidden? Try resetting your hidden threads. first of all: i hope this is in the correct channel. i started a project with my programmers team. its basically a 3D animated game using unity engine pro. so after studying some laws we came into a conclusion that we are only using other peoples OC's (with permission only of course) or rather new creations that others can submit. basically is like this: Got a pony and want to be a character on the game? contact us. 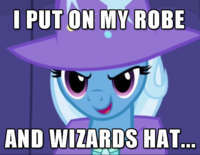 oh but you want that pony to be your main character? ok you have good imagination don't you? you can make another one and send it to us. Masive online roleplay game in third person view (zelda like) and the structure is this: connect to a server > get a clan or friends > explore the world or go to the co-op story mode. more informacion you can send them here. and for more information well get the blog updated with this by tomorrow. Thread collab/42641 hidden. Unhide thread Threads not staying hidden? Try resetting your hidden threads. It is DONE! 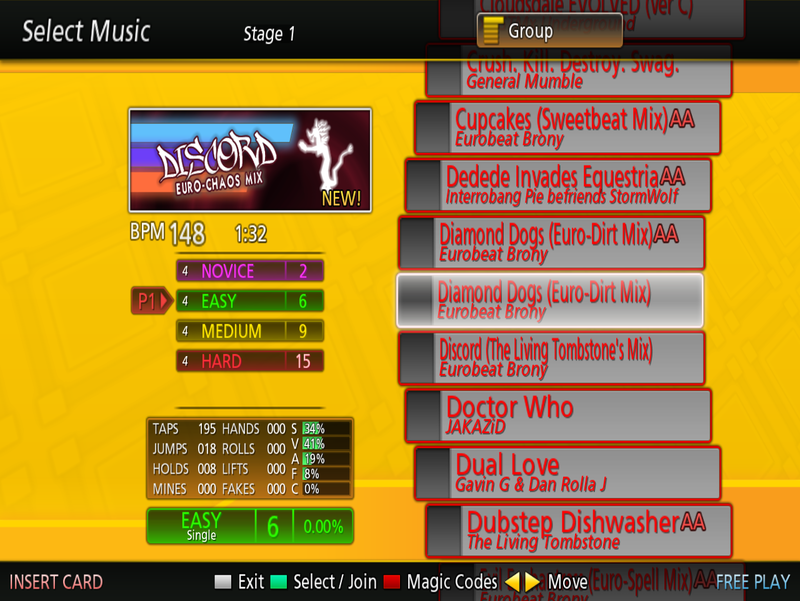 A collaborative StepMania (kinda like DDR) pack featuring primarily MLP-related music, including some of your favourite songs from Season 1 and 2, remixes, and more! Thanks to all that helped, and thanks to DDR Addict on ZIV for being a HUGE help too.